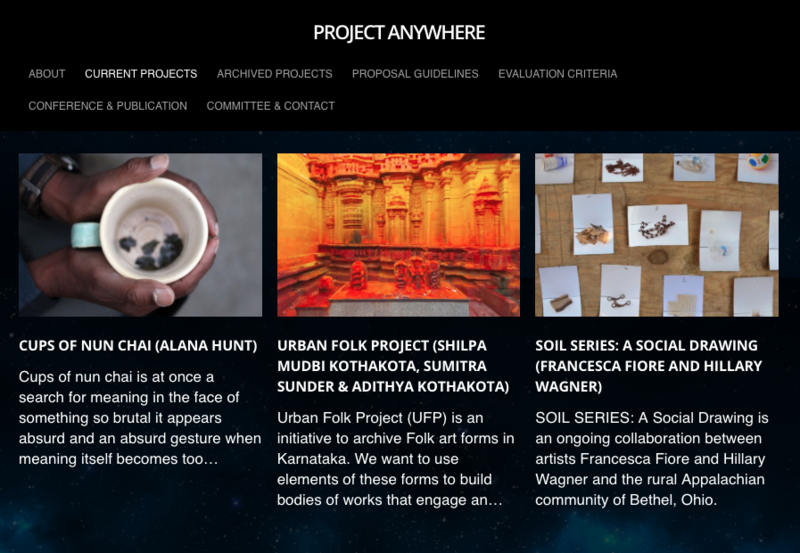 We are thrilled to announce SOIL SERIES: A Social Drawing‘s participation in Project Anywhere‘s 2018 Global Exhibition Program. We are honored to be represented alongside these remarkable projects. You can learn more about these works by clicking on the links above or visiting Project Anywhere‘s website. Click on the image to view SOIL SERIES: A Social Drawing‘s contribution to Project Anywhere’s 2018 Global Exhibition Program. We are also happy to announce that we will be presenting at Project Anywhere‘s third biennial conference, which will be held on November 15-16 2018 at our alma mater, Parsons School of Design in New York City. You can view the conference publication from Anywhere Elsewhere 2016 and watch videos of the presentations here. Thank you to Sean Lowry and the Project Anywhere team. We are so excited to begin this new relationship.